Latest on the Ducks, Leafs, and Senators in today’s NHL rumor mill. WHAT NEXT FOR THE DUCKS? ORANGE COUNTY REGISTER: In the wake of the Anaheim Ducks firing head coach Randy Carlyle, Mark Whicker suggests everyone who can be traded (other than goaltender John Gibson) shouldn’t be surprised if they’re moved by the Feb. 25 trade deadline. Murray said he had “no fear” about asking any of them to waive their clause, but Whicker feels that’s unlikely to happen in 2019. Buyouts would be a drastic option but the Ducks GM has ownership permission to do whatever it takes to get the club back on track. SPECTOR’S NOTE: Of the three, the 33-year-old Getzlaf would have the most trade value. While his production is down this season he’s still on pace for a 55-point performance and could be rejuvenated on a deeper roster in a second-line role. His annual cap hit, however, would be a big stumbling block unless the Ducks absorb part of it. Perry was in steep decline prior to suffering a knee injury that sidelined him for half of this season. Kesler hasn’t been the same since undergoing hip surgery two years ago. I don’t see much of a market for either guy unless the Ducks pick up a big chunk of their respective salary-cap hits and include a draft pick or prospect in the deal. Buying out Getzlaf or Perry would be stretched over four seasons, with the second season as the most costly. Kesler‘s would count as over $2.4 million per season over the first three seasons and over $2.2 million annually over the final three. SPORTSNET: Rory Boylen suggested William Nylander, Patrick Marleau, Kasperi Kapanen, Andreas Johnsson, Connor Brown, and Nikita Zaitsev as six possible trade candidate to ease the Toronto Maple Leafs’ upcoming salary-cap crunch. Boylen believes Nylander holds the longest odds of being traded, noting the winger claimed GM Kyle Dubas assured him he wouldn’t be traded. Marleau’s contract is buyout-proof and he holds a no-movement clause but perhaps there’s an outside chance he returns to San Jose to finish his career. The Leafs like how Kapanen and Johnsson have developed but it will prove costly to re-sign the duo. Brown has slipped down the depth chart and become more expendable. Zaitsev hasn’t played up to the six-year, $31.5-million contract handed him by former Leafs GM Lou Lamoriello. Dubas might have to pick up part of his $4.5-million annual cap hit to facilitate a trade. SPECTOR’S NOTE: Some Leafs fans would love to see Nylander traded this summer. As Boylen observed, however, the long contract standoff to sign him would be pointless if Nylander was a player they didn’t want to keep. He’ll silence his critics as he regains his form. Marleau could waive his clause to return to San Jose this summer but the Sharks have moved on without him. Should they re-sign Erik Karlsson, Joe Pavelski, Joe Thornton, Joonas Donskoi and Timo Meier, they won’t have enough cap space for Marleau even if the Leafs agreed to pick up half of his $6.25-million contract. Retirement won’t help matters. He’s on a 35-plus contract meaning that cap hit still counts against the Leafs payroll. The Leafs don’t want to move Kapanen and Johnsson. They’d likely prefer moving Brown and Zaitsev. Of the two, Brown’s $2.1-million cap hit for 2019-20 is more palatable for rival clubs than Zaitsev’s $4.5-million through 2023-24. Even by absorbing half of Zaitsev’s cap hit, the long term remaining on his contract could be a deal breaker. OTTAWA SUN: Bruce Garrioch reports clarity is expected later this week on the status of Senators pending free-agent forwards Matt Duchene, Mark Stone, and Ryan Dzingel. If Duchene and Stone are to be traded, Garrioch speculates the Senators could re-sign Dzingel, though there’s a chance he could also be moved if he’s seeking a long-term deal worth between $5.5-$6 million annually. The price for Duchene and Stone will be high, as both can be difference-makers for Cup contenders this spring. Garrioch suggests the Senators could seek three assets for each, including a first-round pick. The asking price for Dzingel could be a first-rounder. Garrioch believes the “Winnipeg Jets, Nashville Predators, Calgary Flames, New York Islanders, Vegas Golden Knights, Minnesota Wild, Boston Bruins, and Pittsburgh Penguins” are expected to be among the teams shopping around leading up to the deadline. Gonna be hard to watch CO pick Hughes with their pick. Only way the pain is slightly eased is if Colorado doesn’t win the lottery.It’s still a hard pill to swallow. The only way to avert this situation is if the pick was top 5/10 protected. If Ottowa is in last place, it will be a third pick at the worst. Easy mistake to make, but veery costly this time. If Ottawa is in last place, best case scenario is that it is the fourth pick, not third overall. The lottery is for the top 3 picks. Hughes might be the best of them but the top 10-12 kids in the draft this year are solid prospects. Podkolzin and Katta and Couzens and Dach especially. Top 5 pickers are going to get a potential scoring star. Deee: I agree. The top five or six players in this draft have star potential. Going to be painful either way, but I’d rather not lose Hughes or Kakko. if they trade Stone, Duchene, Dzingel it pretty much assures that the pick will be top 3, especially if the returns for the 3 are picks and prospects. This could be setting a bad precedent for Chabot down the road, he is RFA bound 20-21 & they need to lock him up long term. Of the Big 3 the one guy the Senators need to retain is Stone. Management needs to realize that market value has gone up and you gotta pay for top talent otherwise they are in perpetual. Ottawa fans are going to be p!ssed if they trade all 3 , especially after the Karlsson ordeal. Assuming any/all of Stone, Duchene and Dzingel want to stay, Melnyk has to buckle up and pay them. Ottawa has continued to make the mistake of overpaying depth players (Smith, Burrows, Condon, etc.) and then cheaping out of their stars. Melnyk is so oblivious to the fanbase that he doesn’t realize that more fans would show up to the games if he invested more into the star players. Sens fans love Mark Stone and will be very angry if he leaves after Karlsson last summer. Ottawa has a lot of promising young players coming up, but the rebuild will be much longer and painful if none of Stone, Duchene or Dzingel are resigned. Who are they going to pay to hit the cap floor in the next couple years (please not Ceci)? Stone and Duchene are likely going to cost ~$17M/year between them, with Stone being closer to $9M and Duchene closer to $8M. That should be a no-brainer given the team makeup right now, but it sounds like contract structure (i.e. signing bonus vs. salary) is a big issue. Toronto screwed over the league and, in particular, the smaller market teams when they started that contract makeup with Clarkson. It is even worse now with Tavares, Mathews and soon Marner. Budget teams don’t have the cash flow to pay out those type of contracts and I’m sure that will be a sticking point in the next CBA negotiations. It isn’t only the upfront payment, but the buyout proof nature of the contracts. Ask Edmonton how they like the buyout proof Lucic contract right now. Toronto screwed over the league? Have a look at Mcdavids contract which was signed before Tavares and Mathews contract. Gtfoh with that blame the big guy horse***t. Last time I checked Edmonton wasnt in top 10 in market size. Get a real owner who stays out of that side and let the GM run the show. Send that market to Houston anyway. FD: Angry much? You should learn to read because I said Toronto started this with the Clarkson contract which was signed in 2013. McDavid signed in 2017. If someone like Clarkson gets that kind of deal, of course superstar players will want that too. Plus, Toronto has literally gotten it to the point of only setting the salary at league minimum/projected league minimum with the rest in signing bonus for Tavares, Matthews and soon Marner. Even McDavid isn’t that extreme when he is the best player in the league. Further, Toronto has multiple secondary players (Kadri, Marleau, Nylander, Zaitsev (! ), etc.) that are paid a significant amount in signing bonuses. Most teams can’t pay $40M+ of salary on July 1 before there is any gate revenue for the season. I’ll be shocked if that isn’t an issue when the next CBA negotiations start. My guess is the league will cap signing bonuses at x% of overall compensation (ex. 20-25%). It isn’t only the cash flow issues for most teams, but also the fact that signing bonuses are currently buyout proof. I still don’t understand why that is, but that could be part of the next CBA as well (es. all player compensation including salary and signing bonuses are eligible for buyouts at 2/3 spread over twice the remaining contract duration). Don’t see signing bonuses being part of the negotiation in the next CBA. Apparently the league doesn’t see it as a problem & the players will want to keep it. Bob: My comments had nothing to do with overpaying players. That happens with nearly every UFA. It was the buyout proof, signing bonus laden contracts. Contracts weren’t structured with 75%+ signing bonuses until Clarkson’s contract. The US$ is a problem for Canadian teams, but I’m not sure what can be done about that. Same with the tax differences between different teams. Ottawa’s biggest issue is the owner. 58ssdd: Agree to disagree on the signing bonus contract issue. It may not be as heated as the super long contracts from the last lockout, but I’m sure it will be a negotiation point with the owners. Who knows – with players getting megabucks right out of ELCs, the owners may want to extend ELCs by a year, which is in line with the NBA. UFA age could be negotiated up or down too. Van the bonuses have been there for a long time, long before Clarkson. You seem to be determined to blame Toronto for the problems in Ottawa. Bad ownership and poor fan support is the problem in Ottawa. Maybe a new arena would help, I doubt it since it`s easier to blame others. The bonuses start before the last lockout and a lot of teams did it. If Ottawa and Melnyk can`t or won`t do it to compete then move the team. I`m not for the bonuses but it`s one of the few ways to compete against the tax-free states. The small market teams wanted the cap instead of a luxury tax like baseball has. Until all the loopholes are gone somebody will always have an advantage. What makes a contract buyout proof? Would love to see Getzlaf on the Bruins, better than Kovalchuk. Not at those numbers tho, hopefully Anaheim would retain some salary. Draft pick or two??? Really? Bruinsfan? You want to make that same “Rick Nash” mistake two years in a row? The Bruins need someone to play with Kreicji but it’s not Getzlaf. The bigger worry for Bruins fans is the sudden drop off for their Captain. I love Z but his feet, in the second half of the season are SLOW. Sure the playoffs slow down a bit but I’d pick up a big speedy body on the back end for the play off run. Someone to cut down Chara’s minutes. Also, nice of Garrioch to regurgitate hockey day in Canada talking heads points of interest. Getzlaf is not the same as Nash. He can still play unlike Nash. He was on a team that didn’t have a interest in play for their coach. He can still be a point a game player. He has that ability. Sweeney has to have a conversation with Blake in LA regarding Kovalchuk to gauge his desperation to move out his contract. If LA retains 20-25% of his deal and the return is less than a 1st it is something to seriously consider. Someone like Vatrano or Barzal. Van, you just made a great argument for getting rid of the salary cap. You want the best hockey league in the world? Twenty teams max and no salary cap. What do we have now? Thirty one teams, and eighty two games between mediocre teams. Thank God for the playoffs. Last time Getzlaf scored 20 or more goals was five seasons ago. In 12yrs with Anaheim he had 4 seasons of 20 goals or more and none season over 30 goals. I was surprised by that, he had 8 season of playing over 75 games, he is on pace for that this season. No I don’t want Getzlaf in Boston. According to Capfriendly for Toronto to get 4 1st round picks from an offer sheet, the offer would have to be min $10,148,303 this is 2018 value. The question is when does the 2019 tier compensation package for an offer sheet come out and take effect? Because one dollar less is the noted amount above is 2 1st, a second and a third round pick. No way Toronto wouldn’t watch the offer. Teams are willing to give up a 1st, prospect and pick(s) for a rental. Depends on the term of the offer sheet. The ‘Annual $$ hit’ of an offer sheet is total value of the contract divided by the number of years of the contract by a factor of 5 at maximum. So a ACV of 10,148,303 for 3 years will be: 10,148,303 multiplied by 3 and divided by 3. However if the offer sheet duration is 7 years the cap hit will be 10,148,303 multiplied by 7 but divided by 5. As an example if marner signed 9M x 7 years on an offer sheet, total would be 63M/5 or 12.6M giving Toronto 4 first round picks. What is the return ask from Ana? No from both ends. Why would Anaheim want to have a $4m cap hit for two more season? Winnipeg need the cap space going forward, I know you said the jets could trade him. Also I don’t see Getzlaf leaving Anaheim to go play in Winnipeg February and March. How would Getzlaf fit into the room? how would he handle being second fiddle? I have another train of thought …I don’t think the Jets need that cap hit even at 50% with still having to sign Laine …and a few other younger players. Where.. I do see a team need and a team that has an asset and the cap money to spend on Getzlaf is.. NEW JERSEY ….there is such a NEED for the Devils and I think Pavel Zacha for Getzlaf deal could be a good deal for both …Devils need a big body down the middle who can still play and leadership and can spare the money ….the points are a wash…but the style of player is a huge asset to the Devils I don’t think they are happy with the overall development with Zacha and would entertain such a deal …the Ducks would have to retain some portion …but from what Ive read all over today the Ducks want to get younger …this would be a quality deal for both teams needs….HOWEVER ONE BIG CAVEAT….I do not see Getzlaf approving a trade ANYWHERE…LMFAO…he LOVES the Sun !!! I was just throwing out there …. the chance at the cup for the cost of bottom 6 winger and dropping 15-18 spots in draft (Getzlaf deal) …. No offense here, but comparing Zacha to Getzlaf is a slap in the face. Just because they have similar points, doesnt make them comparable at all. Getzlaf has had half his line mates missing nearly half the season. And the team has play extremely poor over the course of 7 weeks. Carlyle’s system was junk to begin with. And I hate to say this, but firing Bruce Boudreau was a huge mistake. Anyways, that is besides the point. I agree with you, Getz wont his no move at all. I think the only way to rid Kesler, (and I love Kesler. He is my favorite player) is via the buy out. It might sting to have the cap hit of $2.5 or so for the next 6 versus a guy that seems to be at the end of his career due to his hip failing him. Pengy too many probable you’re going to ask Getzlaf to waive his nmc twice? He is going to dictate where we would go. I’m not as sold on the team first as you are. In Anaheim it’s been him and Perry. In Winnipeg he falls behind Scheifele, Wheeler and Big Buff. I still disagree with you on the cap hit and Winnipeg being able to move him in the offseason. Furthermore what does that say to Perry and Kesler? I don’t see Anaheim having an appetite to move Getzlaf. Anaheim would at the very least want Kyle Connor, Jack Roslovic and a 1st. As pointed out …. 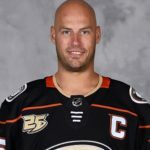 extremely unlikely Getzlaf would waive to uproot fam and move on from the only team he’s known…..
Pengy…hearing on hockeybuzz Btassard maybe to the islanders which is as bad as brassard to Columbus he seems doomed to the metropolitan division uuugghhh.. we need another D now we are tied for 3rd in metropolitan and well in Philadelphia tonight.so Rutherford leta go..
Getzlaf was born in Regina. He knows all about Winnipeg. He would never give up the sun and move his family to Winnipeg. Not happening. A lot of shade being thrown on Getzlaf, not sure why. He’s still elite, first ballot hall of famer and one of the toughest centreman to play against in the league. He checks every box a GM is looking for in a top centreman for the playoffs: Scoring, playmaking, grit, experience, leader, winner.. Right now McDavid, Crosby, Bergeron and Malkin might be the only centreman I would confidently take over him as my #1 C in the playoffs. Despite this I don’t think Anaheim trades him unless he asks to be traded. I think he stays and resigns, actually. Hypothetically, I think Winnipeg could do it. Trade Getzlaf to Winnipeg for a first and future considerations. Then trade Ehlers for a 5th in the offseason. What kind of player says that? RUE LEADERS! period. I can recall only a few players say similar things. He wont be going anywhere unless the return is out of this world. Could see Dallas making a trade. Spezza will be off the books next season and they have to make the playoffs this year according to ownership. Ducksfan93: what over pay would you make for Matthews. Matthews and Getzlaf and Gibbons and a few selective buy outs and your rebuild may be one of the fastest on record.Remember an over pay, as time is money. Habs get Nate Thompson + 5th from Kings for a 4th pick , they have essentially swapped out Dagostino and Chaput / Peca for Weise and Thompson. Bigger, heavier, more experienced players. Add them on the 4th line with Deslauriers, physical line to play against. Good moves IMO. How bout Connor Brown for Zach Kassian?